Greetings!I’d like to share with you some of the exciting ‘Hair Happenings’ from our busy Summer, a slew of new photos and videos, and what we at Bauman Medical Group are looking forward to accomplishing this Fall. First off, August marked the American Academy of Dermatology’s 6th Annual Hair Loss Awareness Month, then Merck launched a ‘stunning’ campaign for Male Pattern Hair Loss, a prominent plastic surgery magazine (PSP) published Dr. Bauman’s article on the treatment of hair loss issues that can occur in conjunction with cosmetic surgery, and both male and female hair restoration patients of ours were featured on Tampa Bay’s CNN affiliate.In addition, right now, we are actively expanding our search for a patient who would be able to receive an Eyelash Transplant in the Los Angeles area in October at no cost. I encourage you to forward this email to others who might be interested in an Eyelash Transplant, or learning more about hair loss and the effective treatments available.At Bauman Medical Group, we take pride in providing the highest quality results and patient care to both men and women who are looking to maintain, enhance or restore their own living and growing hair. Stay tuned for updates concerning our new expansion which is currently under construction. Longing for better lashes? Eyelashes damaged by trauma? 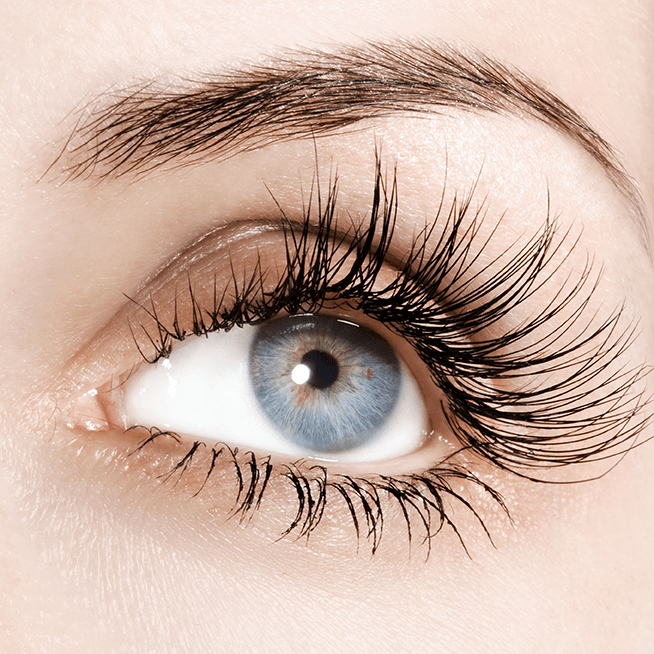 Eyelash transplantation may be for you! We are happy to tell you about a one-time opportunity that may help you get the longer, thicker lashes you seek. 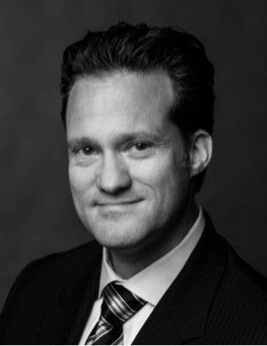 As one of the few doctors worldwide that routinely performs both cosmetic and reconstructive eyelash transplantation, Dr. Bauman has been invited to demonstrate his Eyelash Transplant technique at a Los Angeles Live Workshop for physicians–but we’re looking for a qualified patient! 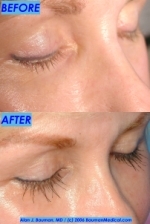 If you (or someone you know) would be interested in receiving an eyelash transplant procedure at no cost, an application must be submitted as soon as possible. At least one patient is scheduled to be selected from those who apply. Download the F-ree Eyelash Transplant Application Form here and fax it back. Despite the fact that by some estimates, hair loss affects an estimated almost 100 million Americans, many are not aware of effective medical treatments. When denial, creative hairstyles, camouflages and cover-ups fail, a visit to the ‘hair doctor’ can help. Dr. Bauman’s ‘Multi-Therapy Approach’ is aimed at protecting and enhancing existing hair as well as restoring lost density. Last month, Tampa Florida’s CNN affiliate, BayNews9 visited with Dr. Bauman and met with both men and women who were undergoing various treatments and procedures. 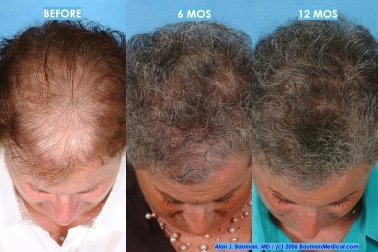 Joan (photos above-right) has become a role-model for women suffering from hair loss. Last year, when Joan’s story of struggle and triumph over hair loss was featured in the New York Times, she received calls from across the country from women who were encouraged by the results of Dr. Bauman’s procedures and treatments. Read the full story and/or view Joan’s photos. This past Summer, Joan was interviewed in a story on female hair restoration treatments that aired on BayNews9, a CNN affiliate. Watch Joan’s Video here. Recent data reveals that hair transplantation is one of the most popular cosmetic procedures for men (Sources:AACS.org, ISHRS.org, plasticsurgery.org). Dr Bauman offers follicular-unit micrografting procedures to restore natural hairlines. To see a hair transplant procedure performed by Dr. Bauman and his team step-by-step, click through to this informative video from BayNews9/CNN health reporter, Dr. Seltzer. While visiting Chicago, Dr. Bauman was interviewed by Sylvia Perez of WLS/ABC-7 NEWS Chicago regarding the latest effective hair restoration treatments (like Propecia and Minoxidil) and procedures (follicular-unit micrografting). He demonstrated theFolliscope, an advanced video scalp-microscope, and how it is used to track the results of hair restoration regimen using hair density and hair caliber. During the segment, Dr. Bauman also demonstrated the latest hand-held low-level laser designed specifically for hair, the THL-1 by Erchonia, a world- leader in Low Level Laser Therapy Devices. Meet “The Stunners” — a group of smart, sophisticated and beautiful women who use their talents and charms to turn the tables on male pattern hair loss. In addition to leaving unwanted scars–hairlines, sideburns, temples, and other areas can sometimes be impacted by cosmetic procedures like facelifts and browlifts– especially if you are prone to hereditary hair loss. 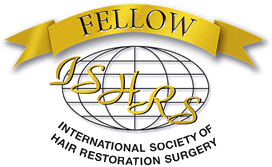 Effectively preventing and treating hair loss in plastic surgery patients requires close collaboration between Cosmetic Surgeons and Hair Restoration Physicians. Dr. Bauman’s article on hair loss and cosmetic surgery was published this past August in PSP Magazine. For a full version of the article with photos, please visit the link below. When WPBF25 Palm Beach news anchor, Jim Abath, was given his “Special Assignment: Hair Restoration,” it was more than just ‘business,’ it was personal! Having previously tried several “lotions and potions” that simply didn’t work, Jim sought the advice of Dr. Alan Bauman, Hair Restoration Specialist in Boca Raton, Florida. The three part series reviews common hair loss/hair restoration myths and misconceptions, Dr. Bauman’s Multi-Therapy approach to hair restoration, the results several of Dr. Bauman’s patients and Jim’s personal journey through the hair restoration process–including his own two hair transplant procedures. At Bauman Medical Group, you’ll find that Dr. Bauman and his dedicated team of medical professionals are passionate about providing personalized care and exceptional results for each and every patient. 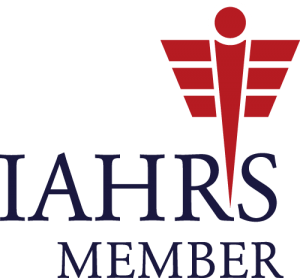 It is our goal to uphold the highest standards of ethics and professionalism.